National Photo Company glass negative. Washington, D.C. "Girls in the snow. 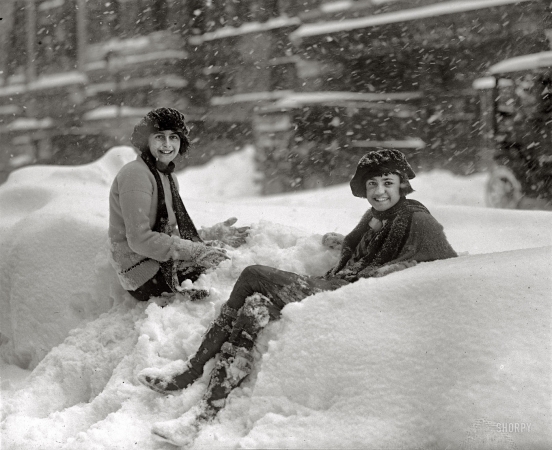 Blizzard of January 28, 1922."